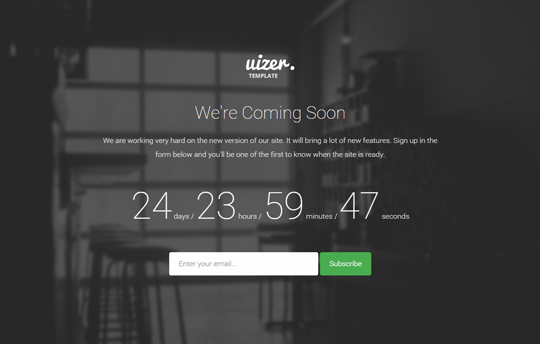 Uizer is a new responsive coming soon template made with Bootstrap that you can use for your new project website to begin collecting subscribers and interested clients before the launch. Uizer comes with 5 different layouts and color schemes and it’s very easy to set up and customize. 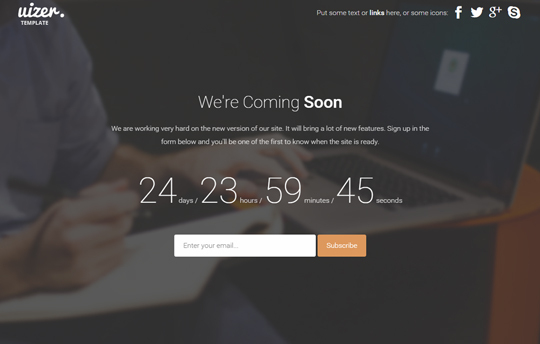 This is a premium template but you can download and try the “layout 2” for free. 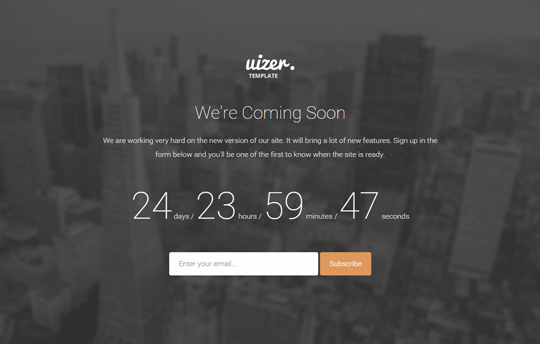 As you’ll see, Uizer is a very simple theme that contains only the essential components of a coming soon page. I’ve designed it with ease of use in mind so you can set it up in a very short time: just choose your preferred layout, upload it in your server, change the logo, set up the countdown timer and the subscription form, edit the text and icons and you’re ready to go! 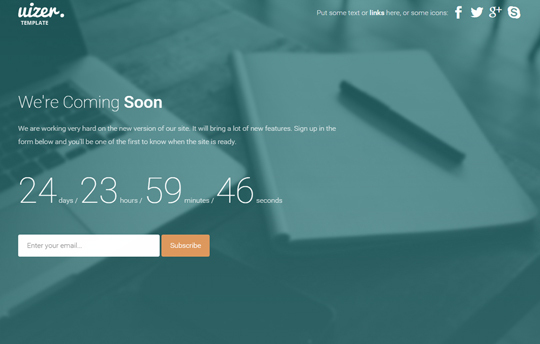 Below you’ll find the full list of features, the live preview link, the purchase link and the freebie link. You can use this freebie (Uizer Layout 2) in personal and commercial projects, but you can’t sell or distribute it directly, “as is”. If you plan to use it, a link to this page or any form of spreading the word will be much appreciated. Hello! 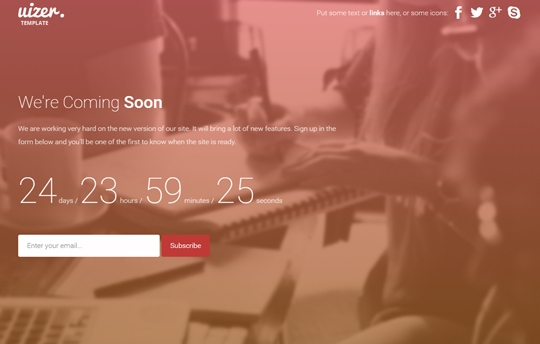 How can I change the launch date?